Traveling with a CPAP can be an intimidating event for those new to CPAP therapy. 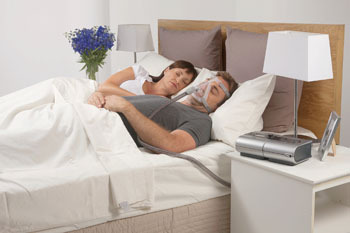 As you are aware, CPAP stands for continuous positive air pressure to treat your diagnosis of sleep apnea. Questions while traveling with a CPAP often arise. What is allowed through the TSA? Can I use my CPAP on the plane? 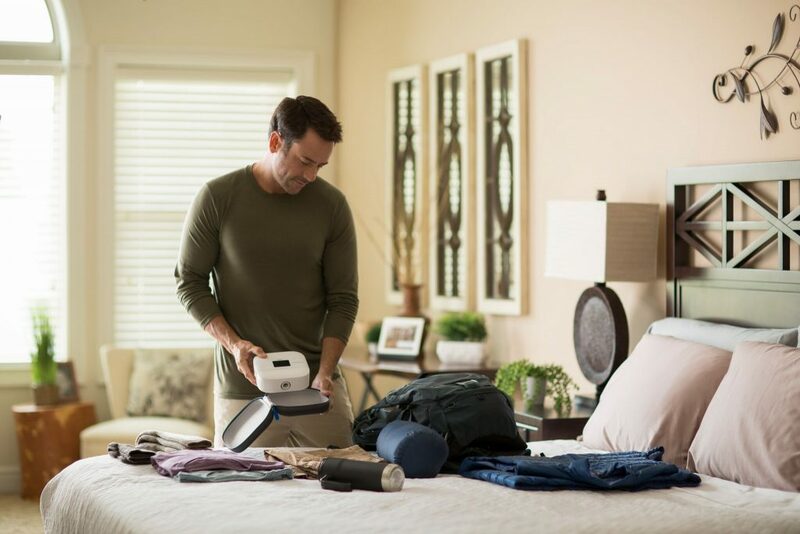 With the TSA area being stressful already, we are here to give you some advice on the best way to prepare to travel with your CPAP, so you can stay compliant on therapy. As anything in life, having a good plan is the key to success. The same is true with traveling with your CPAP. Knowing what can happen will help make the process go smoothly. With the CPAP, you can place it in your checked luggage or have it as a carry on since it is a medical device. Most of the CPAPs have carry bags that come with the unit and are the perfect case to take on the plane. We recommend that you carry on your CPAP unit so you can still have therapy if your bags are lost. Secondly, if you are flying in the US, the normal power cord should work just fine. However, if it is an international destination, you should contact the hotel to ask what type of voltage plugs there are. Some of the current units can adapt to all plugs, we recommend contacting the manufacture of the CPAP unit for more information. Next, having extra cushions and an emptied water chamber is a must. The extra cushions are in case of an unexpected leak in the current cushion and the empty chamber will help prevent damage to the machine during travel. Lastly, having a medical equipment ID tag will help get you through TSA quicker if the agent is unfamiliar with CPAP devices. However, with more individuals being diagnosed with sleep apnea, most TSA agents are familiar with the machines and even tell you to take them out of your case and put it through the X-ray machine. Since the CPAP is a medical device, you are allowed to carry on the unit to the airplane. We suggest that you carry on the unit and not place it in the check luggage in case the bags are lost. When you are at the TSA scanners, you will typically hear the agents explain the instructions for CPAP machines. First, you will need to remove it from your carry case and place it in an individual bin while your supplies can stay in the carry case. Please keep in mind, that the agents may want to take a swab of the machine to check for explosive residue. If this happens, you can request the agents for a new pair of gloves to assure they are clean. Taking liquids through security is a different story. The distilled water typically used will not be allowed through TSA. Most destinations should have distilled water available to purchase. However, you can still bring your own if you place it in your checked bag. Please keep in mind that there is a high risk for spillage in your luggage. The only liquids allowed through TSA without restrictions are prescription liquids which will need to be inspected and verified. After TSA, it is important to purchase a bottled water if you plan to use your CPAP on the plane. You should not use tap water. When on the plane, you are allowed to use your machine. On domestic flights, typically only first and business class has power outlets for your unit to be used. On international flights, most seats will have some type of power outlet. It is recommended to call or do an internet search of your airline to find out if your type of plane has an outlet in your assigned seat. Some airlines, have diagrams and pictures of what type of outlets are available to use on certain models of planes. This is very helpful to use to find out if you need an international adapter. Please keep in mind, some manufacture device plugs are already designed to be used in the US and abroad. Next, it is recommended that you contact the airline and ask their policy about CPAP use on the plane. It varies from airline to airline, and some may require prior notice for use. This way the airline can assign you a seat that has a power source. Lastly, which is very important, if you are in a plane or at high altitudes, most newer units automatically adjust for altitude and pressure. This is very helpful since changing pressure requires a prescription change from a physician. 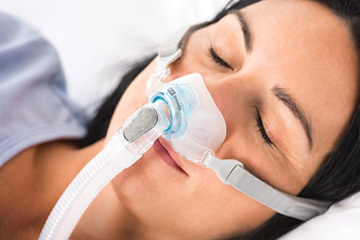 To find out if your unit automatically adjusts for altitude, contact your CPAP manufacture. Instead of traveling with your normal CPAP, there are options for you to purchase travel CPAP machines. These machines are newer to the market and smaller than your current unit. Phillips Respironics and ResMed each released their units in the past year. There are also other units available for purchase as well. These units cost between $550-$1100. Typically, insurance will not cover these units. At DSM SLEEP, we carry all the travel units which are very convenient for individuals who travel frequently. You can contact us for more details about travel CPAP. CPAP is generally used to treat mild obstructive sleep apnea by preventing the airway from collapsing during sleep. BiPAP is short for Bilevel Positive Airway Pressure and this machine has a very similar function to CPAP machine therapy. PAP masks help patients to breathe through their mouth, nose or both and provide relief from sleep apnea symptoms. We provide professional, customized, expert mask fittings as well as CPAP/BiPAP setup and maintenance services. We are a local, provider owned medical equipment company that specializes in respiratory equipment and supplies (excluding supplemental oxygen). With over 80 combined years of sleep medicine experience and HQAA accreditation, we offer high quality, state of the art CPAP/BiPAP machines and supplies.